The Kowa TSN-82SV Spotting Scope is a world-class model with a large 82mm objective lens. 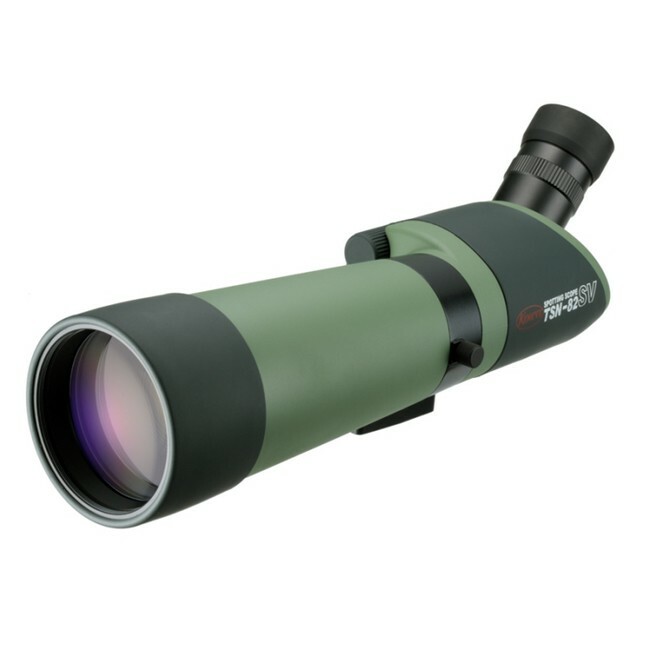 This sophisticated scope with outstanding light gathering power and bright field of view is the dream instrument of every birdwatcher. Providing outstanding light gathering power with 82mm objective lens and a very bright field of view. All lenses prisms, and dustproof glass are fully multicoated, ensuring sharp images and a clear visual range. The housing is waterproof to JIS protection class 7 and filled with dry nitrogen gas to prevent the lens from fogging. JIS 7 = Japanese Industrial Standard / class 7 = Protected against the effects of temporary immersion in water. Supplied with the Kowa TSE-Z9B 20-60x zoom eyepiece and Kowa stay-on-case.